Anti-stress formula. For use in regular bath, spa with jets, or hot tub. THIS IS A SPA SAFE FORMULA. 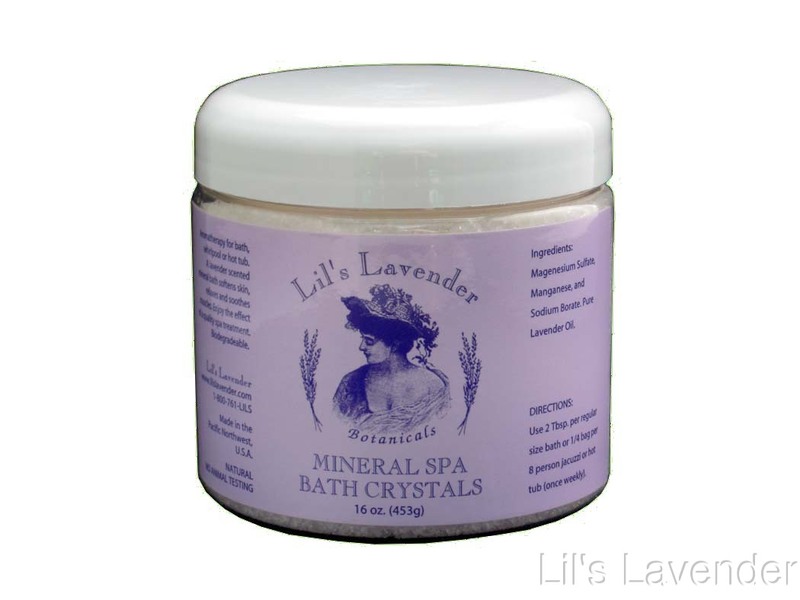 A quality mineral bath combined with an aromatherapy concept. A water and skin softener. Relaxes and soothes tired muscles and helps pull inflammation from overworked sore muscles and joints. Product is biodegradable and leaves no residue. When used as directed, this product does not upset the pH balance of spa chemicals and can be used in tubs/spas with jets. Enjoy the relaxing effect of a quality spa treatment either in your bathtub or spa. Ingredients: Magnesium Sulfate (Mineral Salts), Sodium Borate (Desert Mineral Salts), Maltodextrin (from corn), Silica (from earth), may contain FDA colors and fragrances if used. 16 oz.